1973 participated in the “All Japan Song Championships” an audition TV program created by Yomiuri Television. Became grand champion after winning ten weeks in a row. With the backing of composer Masaaki Hirao, a judge during the show, fellow judge songwriter and author Yoko Yamaguchi gave Kiyoshi Nakajyo his stage name. Debuted in January 1974 with the Enka song “Uso” written by Yamaguchi and composed by Hirao. This was his third debut from Canyon Records (currently Pony Canyon), but according to Nakajyo this was his official debut. This song sold more than 1.5 million copies and became a hit. In the same year he was awarded the Taishuusho (Public Award) at the 16th Annual Japan Record Awards as well as various other musical awards. 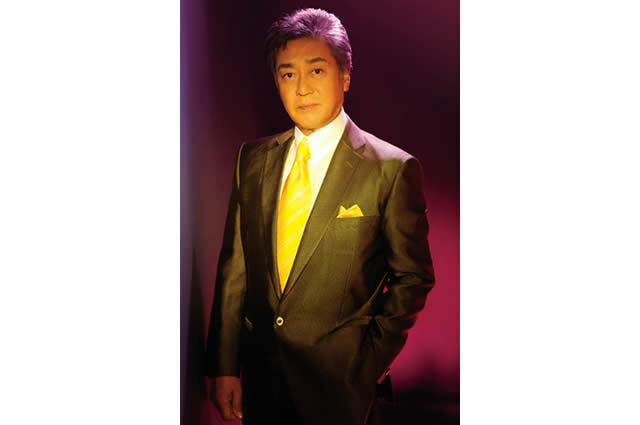 Since this time, Nakajyo has released several hit songs including, “Usunasake” and “Wake” among others. In addition, he starred as a regular portraying shamisen player Yuji a member of the dark assassin group “Shigotonin” on “Shin Hissatsu Shigotoninn” based on the popular samurai drama “Hissatu Series”, and has gained the hearts of many female fans.